Darn, John and I will just getting back from our cruise to Alaska. I sure hope you will have another studio purge sale again. 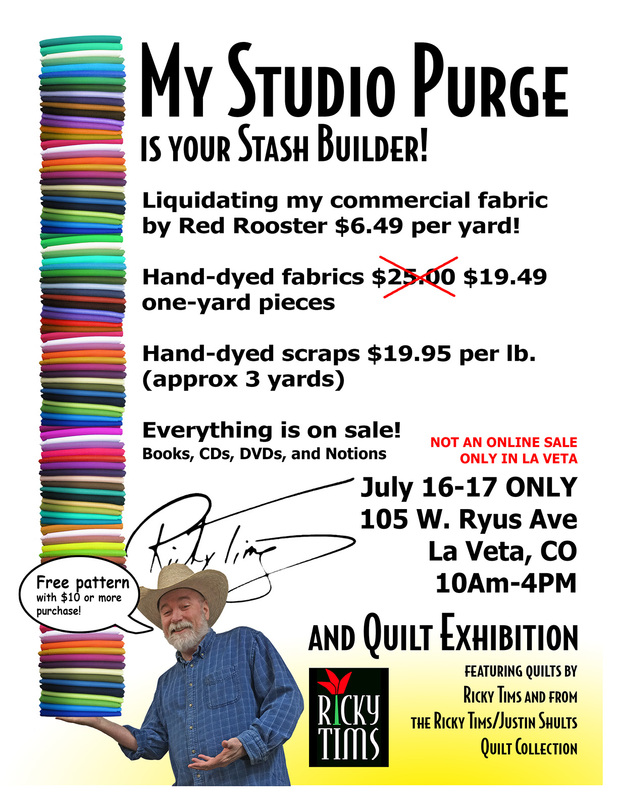 This sounds like a fun reason to visit La Veta. There is something about your hand dyes that I just love. The quality is amazing.